What inspired you to write this book? Honestly? The success of ‘Barbarian’s Mistress’. I was blown away by the feedback I got for that Historical Romance and decided that readers of that genre were as ready as I was to explore new territory. Ancient Rome is not a common setting for Historical Romance. But it is such an exciting time that it makes for a great Romantic adventure. I was champing at the bit to get back there with ‘Lionslayer’s Woman’. What was the most challenging part of writing this novel? Getting the historical details right is always the most challenging part of writing about history. And I have to make sure that I balance the information with the story, so readers get a sense of the period and its issues without feeling like they’re getting a history lesson. There’s also a balancing act with dialogue. I opt for modern dialogue in books like ‘Lionslayer’s Woman’, rather than trying to recreate the speech of the time, because I don’t want to distance my readers from the characters. And written and spoken language is always different, so we really don’t know how Ancient Romans spoke. But some people find the modern dialogue in an ancient setting jarring, unfortunately. Did writing this book teach you anything and what was it? To face my fears about self-revelation. One of my heroines (‘Lionslayer’s Woman’ has two) has had her breasts cut off by a past master. Because I had a bilateral mastectomy ten years ago and still feel ‘fragile’ about my body image, it was hard to write about Cyra’s insecurities, knowing I was revealing my own to the world. But it felt right to do it at this time. It allowed me to finish ‘The Way Home’, which I had been writing for seven years. That ghost story was an even more personal exploration of the experience of breast cancer and I doubt I would have finished it if I hadn’t put my toe in the water with Cyra first. There are a lot of issues a woman has to face when they are diagnosed with breast cancer — body image is only one of them. So letting Cyra voice that one issue allowed me to build up the confidence to voice the rest. What is your greatest strength as a writer? My ability to write about important issues lightly, within a light fiction genre. I don’t like being hit over the head with important issues, so I don’t do it to my readers. And yet exploring issues like slavery, so that a reader gets insight into another perspective on life, is valuable. It makes my books light but not ‘fluff’. Fantasy writer Ursula Le Guin once said, “Children know perfectly well that unicorns aren’t real, but they also know that books about unicorns, if they are good books, are true books.” So I like to think I write fiction, but that they are ‘true books’. Can you share a little of your current work with us? I’m currently working on the second in my Werewolf Keep Trilogy. It’s slow going because I’m not in love with the characters yet. I like them, but I don’t know them well enough to want to follow them on their journey for 50,000 words. Or maybe there are issues I’m not ready to face in my own life, and until I do, I can’t write about them. My Muse is very wise and I trust her to take me where I need to go when the time is right. So until I’m ready to face whatever needs to come up during Jasper’s story (Imprisoned at Werewolf Keep) I will focus on marketing and promotion. I’m having lots of fun designing a set of collector ecards for my New Atlantis series. I’m giving these ecards away free to fans of the series from my website. How did you come up with the title? Because it was going to be similar to ‘Barbarian’s Mistress’ I wanted a title that was similar. I decided Leonis’ fight with the lion in the Colosseum was a distinguishing feature of this book. His real name is Decaneus, but once he slays the lion he’s dubbed Cor Leonis by the crowd, meaning Lionheart, and so his new owner renames him Leonis as a mark of honour, but also as a symbol of the lost ownership of his life and even his identity. And the Lionslayer’s ‘woman’ is Cyra, who becomes the focus and direction of Leonis’ life from the moment he meets her. Can you tell us about your main character? Because this is a big book I needed four perspectives on it, so I have four main characters – two sets of couples. But the main character for me is Nexus, the Nubian prince turned pirate we first met in ‘Liquid Fire’. I knew before I started that I wanted to give Nexus his own story because many readers thought he should have ‘got the girl’ in that book. But he did get his soulmate in that novel, she just wasn’t the heroine. So to give him his own book (which meant his own romance) I had to kill off his lover. This created a lot of inner tension for him and outer tension with his new love. Guilt and grief are his constant companions at the start of the story, but as he seeks to help Galeria save her family, he overcomes these so he can live and love again. He’s a great character – strong but ‘flawed’ by tragedy. He’s big in every sense of the word: The true romantic hero. And yet he’s not stereotypical. He’s vulnerable and gentle, and is a stickler for the rules. It’s what gave his life meaning when he became a slave. If he knew the rules he was safe. Not just physically, but emotionally safe. He’s been playing it safe in that way since he ran away from home at 14. He is drawn out of that safety by his dedication to Livia in ‘Liquid Fire’, but with the death of Niobe he returned to his safe world. Galeria draws him out again, this time for good. How did you develop your plot and characters? It started with Nexus. He needed to be drawn back into life and the only way that was going to happen was if he was sent on a rescue mission. So I needed a mission for him. It had to be shortly after the end of the last novel which was set around the fall of Pompeii in 79 CE. After reading a lot about the new emperor, Domitian, I knew I had a suitable quest. Domitian was paranoid and it was highly likely he created a list such as the one described in ‘Lionslayer’s Woman’. So Nexus was sent to warn a stoic family that they were on Caesar’s list. The plot grew from there. They had to arrive late so the Praetorian Guards could have already raided the family home, killed the father and kidnapped the mother and youngest child. Finding and rescuing these two becomes the main thrust of the rest of the story. To do this Nexus needed a love interest – the daughter of the stoic who got away, and a fellow warrior – the Lionslayer – who has an agenda of his own. And lastly, the Lionslayer had to have a love interest, the ‘Woman’ of the title. Cyra is a loyal slave of the family who has been destroyed by the emperor. Then I let them loose on the eastern side of the Roman Empire and watched what happened. Why did you choose to write this particular book? Because ‘Barbarian’s Mistress’ was so well received I felt I was being given permission to go on another holiday to the Ancient Roman Empire. I jumped at the chance. Visiting some of the Seven Wonders of the Ancient World, like the Colossus of Rhodes, was just sooo much fun! The scene where little Gali tries to prove she’s an adult (she’s 8) by spanning the width of the thumb of the fallen Colossus with her arms was one of my favourites. I could imagine sitting in that great bronze hand on a sunny Aegean day. It took me away from the constant rain and cold of England! How do you promote this book? Other than this book tour with Orangeberry? I offer my books for free every few months so new readers can try my books out to see if they like them. 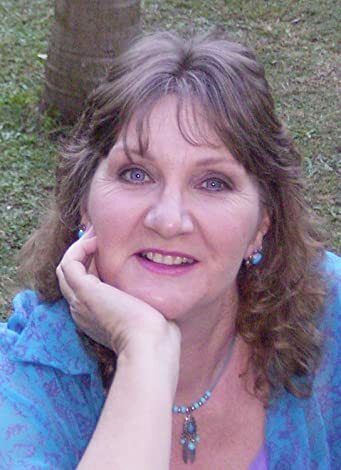 I have a website that I’m developing that has a lot of behind the scenes information on my books and me, as well special offers like the Romance Collector’s Ecards I’m giving away to readers at the moment. I loved designing these. I also do talks on writing and self-publishing to interested groups. I’m a teacher and presenter so that bit is easy and enjoyable. I also write Ezine articles on writing and other subjects, which draws interested people to my website and books. I spend a lot of time answering emails readers send me, as this is both a pleasure and good for promotion. What are you reading at the moment? I have been reading Blakely Chorpenning’s books recently. She is a wonderful wordsmith. I envy her that skill and I just get lost is her lyrical prose.